Probably the best way to get started with Transition is through a book group reading the Transition Companion. The Transition Companion (published last month) replaces the Transition Handbook, which we had been using. Book Group 7 is now underway. It meets Thursdays in the middle of the day. Book Group 6 has shifted over to reading the Transition Companion, and will commence on that this week. It is the upgrade/replacement to the Transition Handbook. The plan is to meet at my house this Wednesday night, 6:30 for schmoozing and 7 for the group. Our plan is to read through page 44, or so. We’ll be meeting this week (11/30) and next week (12/7), then will shift to an every-other-week rhythm. Contact transitionpaloalto@gmail.com, and I’ll send you the address! We just made a second bulk order for 29 copies of “The Transition Companion”. List price is $29.95. We can offer it for $20. Contact Bart Anderson ( transitionpaloalto@gmail.com ) to get a copy. He will be bringing copies to the book groups. There is an online outline of the Transition Companion with links to about 60% of the material in the book. Occupy Wall Street — What’s Happened? What’s Next? Occupy Wall Street has captured the imagination of millions and brought a level social activism not seen in the U.S. for decades. How did it start? What’s happened so far? What are the implications, and what can we do locally to get involved? We’ll explore all of this at this Films of Vision and Hope mini-series. There’s a rich video record of the Occupy movement, with fascinating footage and interviews. We’ll see a selection of Occupy videos and discuss the movement — what we think about it and what the implications are for meaningful economic and social change. Bring a dish to share (with local ingredients, if possible). We’ll continue the conversation, sharing what people are doing locally and what others can do to get involved. A new movement has developed recently: the “sharing economy,” where people share, barter, exchange, rent, etc — everything from cars to clothes. It helps people save money, helps the planet by reducing the use of resources, and builds community — one of the primary predictors of well being. The purpose of this circle is to become acquainted with the different opportunities in this new “sharing economy” by exploring the many web sites, trying some of the ideas out, and generating new ideas. (Many people create small businesses in this new movement.) If they desire, members of the circle can then act as resource people to others. The facilitator is Cecile Andrews, the author of books, such as Circle of Simplicity, which reflect the underlying philosophy of Sharing. For more background on the “sharing economy,” go to www.shareable.net or www.collaborativeconsumption.com . Begins Monday, December 5th, 7 pm. If you are interested, please contact Cecile Andrews at cecile@cecileandrews.com . We have reserved a room at Acterra for the first ever Slow Money organizational meeting. It will happen on Monday, December 5, from 7:00 to 9:00 PM. I’ve talked with members of the Slow Money Norcal chapter and they know that we’re forming a group, which will have some kind of relation to them. As was mentioned to me, this is new ground, so we can define just about whatever we want to: investment club, business incubator, vetter of entrepreneurs for loans, whatever we can think of and safely do. I’ll mention this at the chapter meeting in Berkeley on 11/21. We should, however, do this cautiously and carefully. I rather expect the first meeting to be one of getting to know each other and what the expectations of each person are. We’ll probably want to meet monthly for a couple of months, to iron out wrinkles; and understand and draw up any legal documents we might need (required for an investment club as I understand). Please forward this to anyone you think might be interested, who has not signed up for this Yahoo Group. See you all on the 5th. Cecile Andrews will be leading a group to examine and discuss the Occupy Movement, and its relation to Transition. The first meeting will be Thursday December 8. Schmoozing 6:30 pm. Program start 7 pm. Local Garden Share and Craft Share are planning to merge again, with a holiday theme, tentatively scheduled for 1:00 to 3:00 PM on Sunday, December 11. More information to follow. Garden share events have been cancelled for the rest of November and December, since the dates conflicted with holidays. 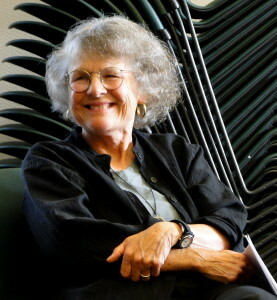 Several Transition people have made contact with local Occupy groups. The Transition Conversation group went to the last General Assembly of Occupy Palo Alto to introduce ourselves and to learn more about local Occupy activities. According to David Herron, meetings are Sunday afternoons at 3pm in the plaza between City Hall and the Arts Center. There’s a “stand on the street corner holding signs” on Thursday afternoons at the intersection of Castro and El Camino). Transition typically does not take political positions, but it does provide forums for relevant political discussions. The Resilience Circle held its final formal session November. A number of follow-up activities were suggested. Some of these are already underway, and others need a “point person” to make them happen. Interested in connecting with one of the groups active in Transition Palo Alto? Just sign up for the Yahoo group to get news of meetings, events, and discussions. Occupy (tpa_occupy): Discusses the #Occupy movement, and investigates what sort of co-operation may be possible with it. Chat (tpa_chat): To cope with all the ideas and events, we’ve set up a new Yahoo group for announcements, news items and discussion … whatever is on your mind. Food (tpa_food): Interested in where your food comes from? Finding out how to get local, organic, **delicious** food? Getting connected with local food activists? Peter Ruddock, who has been a leading activist in Slow Food, is facilitating this group. Slow Money (tpa_slow_money): Started up after we heard two exciting speakers from Slow Money at the Oct 28 potluck. Will deal with business, investing, money management — all with a Slow Money, Transition focus. transitionpaloalto for the newsletter and occasional Transition-related posts of general interest. Open. tpa_book2 Transition Book Group 2. Meets every two weeks on a variety of subjects. Will begin reading the “Transition Companion” Nov 30 and early December. Open. tpa_book6 Transition Book Group 6. Will begin reading the “Transition Companion” Nov 30 and early December. Open. tpa_book7 Transition Book Group 7. Began reading the Transition Handbook in November. Meets Thursday in the daytime. tpa_chat for ideas, events, discussion. Open. tpa_conversation Conversation and community discussion group. Deals with group process. Open. tpa_occupy Discusses the Occupy Movement. Open. tpa_resilience Resilience Circle. Started recently. Meets every week. Still open. tpa_slow_money Money topics, with emphasis on the local economy. Investing, money-management, business. tpa_support Exploring ways to provide mutual support. tpa_XXX-subscribe@yahoogroups.com (where tpa_XXX is the name of the group). Economists insist that recovery is at hand, yet unemployment remains high, real estate values continue to sink, and governments stagger under record deficits. The End of Growth proposes a startling diagnosis: humanity has reached a fundamental turning point in its economic history. The expansionary trajectory of industrial civilization is colliding with non-negotiable natural limits. Richard Heinberg’s latest landmark work goes to the heart of the ongoing financial crisis, explaining how and why it occurred, and what we must do to avert the worst potential outcomes. The End of Growth describes what policy makers, communities, and families can do to build a new economy that operates within Earth’s budget of energy and resources. We can thrive during the transition if we set goals that promote human and environmental well-being, rather than continuing to pursue the now-unattainable prize of ever-expanding GDP. Richard Heinberg is the author of nine previous books including The Party’s Over, Peak Everything, and Blackout. He is a Senior Fellow of Post Carbon Institute, a think tank helping chart humanity’s transition from the brief, waning reign of fossil-fueled megatechnology to the dawning era of re-adaptation to nature’s limits. Widely regarded as one of the world’s foremost Peak Oil educators, Richard lectures widely and appears on radio, television, and in films. Peak Oil or Climate Emergency? We know we’re in Big Trouble. But What Kind Exactly? What: Dave Room, of Bay Localize, will moderate a debate between Richard Heinberg, Senior Fellow-in-Residence, Post Carbon Institute, peak oil theorist & author of the new book The End of Growth and Earth Island’s Tom Athanasiou, director of Eco-Equity, global climate justice researcher, & author of Divided Planet: The Ecology of Rich and Poor. For tickets, http://eii.org/events/1215tix . to get on or off the newsletter mailing list (the transitionpaloalto Yahoo Group) or to suggest events! 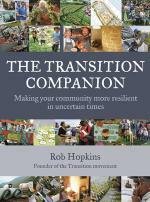 We just placed a bulk order for “The Transition Companion” by Rob Hopkins which will be released in late October. The book is a sequel to “The Transition Handbook,” and gives strategies and ideas It should be an important book. If you are interested in reserving a copy, email Annette at annetteisaacson AT comcast DOT net. List price is $29.95. We can offer it for $20. A book group will probably form to read the book together. It’s more fun to read it that way. Complete instructions – see next item below. tpa_book2 Transition Book Group 2. Meets every two weeks on a variety of subjects. Open. tpa_book6 Transition Book Group 6. Now reading the Transition Handbook. tpa_book7 Transition Book Group 7. Will begin reading the Transition Handbook in November. Will probably meet Thursday in the daytime. 2. Click on “Join Group” (in blue) on the middle right of the page. 3. If you have a Yahoo ID account, sign in with it. If you DON’T have a Yahoo ID account and you cannot / do not want to go through the process of signing up for one, send me your name and email address and I can sign you up for the group. ( bart AT cwo DOT com ). 4. Fill out the options. You can probably stick with all the default values. Transition Palo Alto has been honored to have Burt and Marge Liebert at many events. Burt has been an actor, drama teacher (UC Davis), Humanist, Peace Corps volunteer, lecturer, activist and horseback rider. Marge has been an innovative special-ed teacher, a prolific artist, and an undaunted activist. It may be a statement that many can agree with. At first reading, it seems like the “Move to Amend” moveement against corporate personhood that some TPA people are involved with (cf Gerry G.). Romola Georgia is starting a garden group for discussion and activities around gardening. Romola is a Master Gardener and a founding member of Transition Palo Alto. Wednesday OCTOBER 5 & 12: Next Acterra’s Green@Home Energy Specialist Volunteer Training. Please pass the word to others that may be interested. Hope you can join us –it’s a fun, hands-on learning program with tools and a comprehensive learning manual. Bring your homegrown fruit, vegetables, eggs, herbs, honey, and flowers! Bring your outgrown Halloween costumes and paraphernalia. Come meet other artistic people, share stories, clear out your closets, and help save stuff from the landfill at the Craft Share! Bring your old arts and crafts supplies, Halloween and other paraphernalia, and take home what you really need. Alto and Transition Silicon Valley. The Common Ground store is open during the event, so plan to stop in to get any supplies you need to continue your garden bounty. Also, the event is located only 3 blocks from the California Ave Farmers’ Market, which is open from 9:00 AM to 1:00 PM. You will have time to shop or have lunch at the market after the event. Join us to share garden bounty as well as halloween costumes. Bring what you have to share; take home something you don’t. Think of it as a “free” backyard farmers’ market. Join in for an afternoon of fun and learn how easy it is to bike in Palo Alto! Bike Palo Alto! 2011 will be on Sunday October 9, 1-4 pm. Start at El Carmelo School (Bryant & Loma Verde) for bike safety info, helmet fitting, bike registration and bike safety checks and maintenance. Then choose one of our highlighted routes and take a fun ride with free treats along the way including ice cream at Baskin Robbins and fruit at Mollie Stone’s & Whole Foods. Learn tips on how to bike safely on public streets and make sure your helmet is ready to protect you! Get a great local bike map highlighting bike routes in and around Palo Alto! Check out Palo Alto’s great bike routes and stop along the way for free ice cream and other treats! Learn about bike safety accessories to make your ride safer and register your bike! Want to know the best bike route from your home to your favorite destination? Ask the Route Wizard! Bring your bike by for a free safety check and basic maintenance! Sign up for our free raffle for a chance to win a great prize! Bike Palo Alto! Sponsors: Palo Alto CEAP, City of Palo Alto Way2Go & Sustainability Programs, Mike’s Bikes, Whole Foods, The Sweet Shop, Starbucks, Baskin Robbins, Mollie Stone’s Markets, Traders Joes, Kepler’s Books, REI, Palo Alto Bikes, College Terrace Association & the Barron Park Association. Please feel free to forward and circulate this with wild abandon. We would love to FILL Memorial Auditorium (capacity 1,700). – submitted by Lori W.
* September 2 – Rebecca’s Wild Farm: Wildlife filmmaker Rebecca Hosking shows how she transformed her family’s farm in Devon into a lowenergy farm for the future, discovering that nature holds the key. * September 9 – Establishing a Food Forest: Back by popular demand! In this fascinating film, famed permaculturist Geoff Lawton shows how to turn even the most unpromising ecosystems into thriving, productive food forests. * September 16 – Locavore: Today, the average conventionally grown vegetable travels more than 1500 miles and is over-processed, stale, and without nutrition. Learn how the Locavore movement is changing all of that. * September 23 – 100 Mile Potluck: It’s harvest season, and the autumnal equinox! Come to share food, conversation, and ideas. Come to share the bounty of the season! Bring a dish with local, seasonal ingredients, if you can (tomatoes, eggplant, squash, seasonal fruit, local meats, or other). We’ll share where our ingredients came from and how the dishes were prepared. We’ll also talk about what’s happening with Transition-related activities for the coming year, including a new series of monthly potlucks that will focus on different themes. Friends and family of all ages are welcome! David Cobb is an organizer and rousing speaker for Move to Amend (and a former Green Party Presidential Candidate). Come see him speak about corporate personhood and how to end it. There will be a lengthy Q & A. Free and open to the public. Includes 3 events: Echelon challenge to walk, run, or bike multiple short laps for charity, Echelon Gran Fondo to cycle 60, 80, or 95 miles, and A Taste of Palo Alto – a taste of 15 fine Palo Alto restaurants. Taste of Palo Alto and festival free with each entry. Fundraising not required. Saturday, September 24, Museum of Art and History, 705 Front Street, Santa Cruz, 9am-5pm. The City of Palo Alto is participating in the World Wide Day of Play, an annual event designed to encourage kids and parents to turn off the TV and play, especially out of doors. This would be a good time for neighborhood activities, group parties and exploring our open unique and glorious spaces. The new City of Palo Alto Community Services Department Fall 2011 brochure is now on line. 350.org’s Bay Area “Moving Planet” Event is a global day of action. Learn more or join in on Moving Planet: A Day to Move Beyond Fossil Fuels, which promises to be the largest people-moving movement ever. Learn gardening in various classes Saturdays. September 3: YOGA FOR GARDENERS with Patricia Becker Saturday from 10:30 – 12:30. FEE: $31. Sept. 10th – University South Join Canopy at their upcoming Arborist-led Tree Walks. They gather every month on the second Saturday from 10AM to Noon. To request a brochure: info@canopy.org or call 964-6110 x2. Come to the 9th Annual Summer Solar Progressive Party – happy hour and munchies at David Coale’s cool solar-powered house 5-7pm, then at 7pm a potluck at Susan Stansbury and Cedric de La Beaujariere’s cool, solar-powered house. See the solar cooker, other solar toys, and meet sunny faces. Please bring a dish, preferably local and organic, to share with utensils to serve. Bicycles, electric cars, and other alternate modes of transportation encouraged. Sun Salutations happening all evening! The newsletter is published about every two weeks. Click on the “Events” tab to see back issues . Here is reminder about the No Impact Experiment I and other folks will be involved in starting Jan 2. Please join me in exploring ways to lessen our impact. This is a project by Transition Palo Alto. See: https://transitionpaloalto.org/2010/12/07/the-no-impact-experiment/ for more information or follow the links below. Join me, Transition Palo Alto, and many others in The No Impact Experiment! It’s a one-week exploration of how to reduce our negative impacts on our environment, beginning January 2nd (in partnership with YES! Magazine (http://www.yesmagazine.org/) and the No Impact Project (http://noimpactproject.org/experiment/). We’ll learn a few things about living a happier life, and maybe change a few habits in the process. This is not a test. There is no scoring, there are no judgments. It’s a chance to experiment with small changes in our lives, as part of the big cultural shift we are undertaking to live in balance on our planet. They supply information and support for each day of the week during your exploration experiment. We might learn whether less environmental degradation brings with it more happiness! If you already do a lot to lessen your impact, great! Consider this a tune-up. Also think about sending this around to your friends and neighbors as it is fun to do as a group. David Coale / Transition Palo Alto. * Continuation of Cecile Andrews’ workshops on conversation – perhaps continue after she completes the initial sessions Jan 4. * Arranging for space for meetings, films (since we won’t be able to meet at World Centric after March). * How best to help people brainstorm ideas for activities and get together to make them happen.